One year ago, I wrote: “Even the best possible 2012 won’t get us halfway back toward normal.” That turns out to be true, but barely: the latest Trulia Housing Barometer, for October, showed us that the market is 47 percent back to normal. And this year, we launched the Trulia Price Monitor — which revealed back in March that asking prices were on the rise — one of the earliest indicators of the home-price recovery. 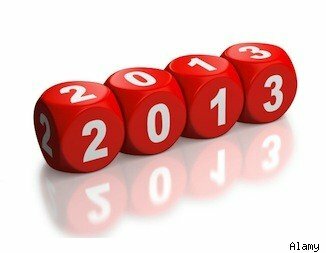 All in all, the housing market enters 2013 with strong tailwinds, but that could change. 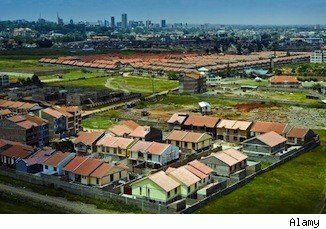 OUT: Will Home Prices Bottom? IN: Will Inventories Bottom? The big question this year was whether home prices had finally hit bottom. We now know the answer is a resounding “yes.” Every major index shows asking and sales prices rising in 2012. The key question in 2013, though, is whether prices will rise enough so that for-sale inventory — which has fallen 43 percent nationally since the summer of 2010 — will hit bottom and start expanding again. The sharp decline in inventory was a necessary correction to the oversupply of homes after the bubble, but now inventory is below normal levels and holding back sales, particularly in California and the rest of the West. At the end of every December, people make all kinds of resolutions for the coming year. Typically, these are things they want to improve about themselves, ways to make their day-to-day personal or work life better, or ideas to put them on track for a change. Many times these surface as a result of mistakes made in the past 12 months. When it comes to real estate, resolutions don’t necessarily apply as it’s unlikely that you do a real estate transaction each year. Furthermore, you can’t actually resolve to buy your neighbor’s house or sell your $350,000 home for $1 million. Well, you could, but you’d probably be setting yourself up for disappointment right from the start. Some things are simply out of a would-be buyer or seller‘s control. But, as a would-be buyer or seller, you can learn from and make resolutions based on those who have gone before you. There exists a former buyer who, if he could, would resolve to have done more legwork before buying. Conversely, there’s a current seller who resolves to take the next under-asking-price offer from a buyer more seriously. Whether you plan to buy or sell, there are some real estate resolutions that buyers and sellers can — and should — make. Here are five to get you started. As we celebrate with family and friends this holiday season, we can take comfort in the fact that housing markets across the country are reaching their own holiday milestones. Even though the trend is our friend, recovery can often feel piecemeal: fewer foreclosures here, improved absorption rates there and lower days on market over there. But, overall, we’ve struck a positive stride, and momentum has a way of accumulating. Here’s a peek at the week’s housing market data. We’ve all seen homes for sale that linger on the market until the owners give up, only to list again. That can be a great marketing strategy, if you make changes. When a home for sale sits on the market for 90 days or more, it’s time to take a closer look at the pricing, marketing, condition or any combination thereof. Some agents say that you shouldn’t even wait that long to reposition. In its first days on the market, a five-bedroom split-entry rambler at 1900 Cape Cod Place in Minnetonka, Minn. was listed for $429,900 and a few weeks later dropped to $409,900.